I FINALLY HOOKED UP WITH KRISTY! I finally met the person I wish I had met a year ago, just this morning! She seems to know everybody in the area and can get things done easily and cheaply. I told her we needed some help getting my backsplashes finished FAST and she hooked me up! Mike said he couldn’t find anyone to do our gutters and BLAM, she knew of 3 possibilities. This woman should work for HGTV! Of course the builder is not thrilled, but then I am frustrated to the point of steam coming out of my ears at his slow, easy-going style. He does not seem to care that we’re moving in NEXT WEEK! THIS has no meaning to him. 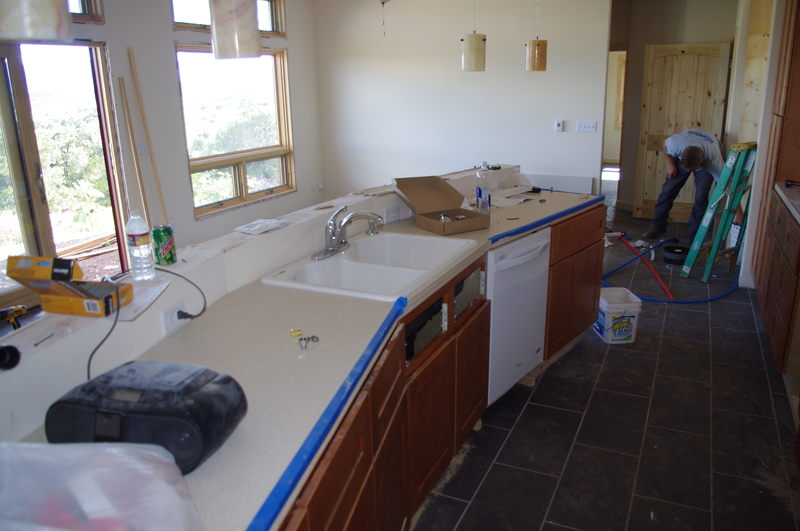 Here is the present state of my kitchen, the counters are done and the sink is working, but that’s about it. We do have electric and plumbing done with inspections coming soon, but I cannot get our builder to even come out to the house before ten or eleven each day. He just does not care. 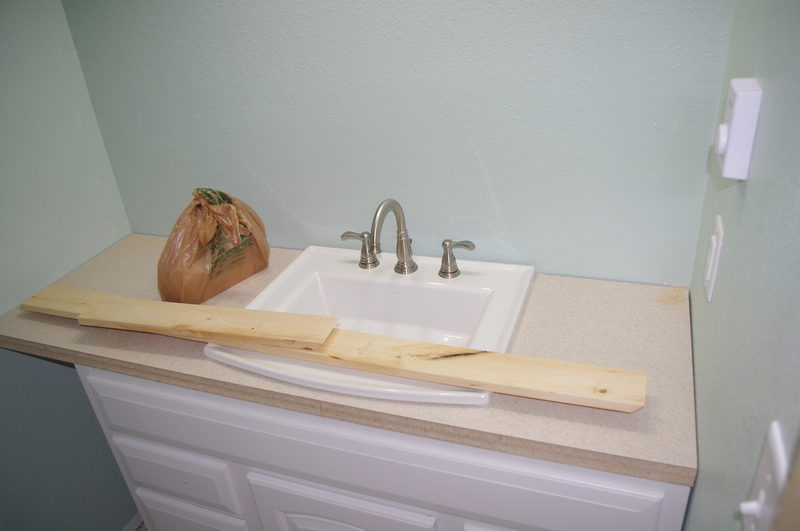 Here’s my bath vanity waiting for my fancy purple and green backsplash. Kristy found a young man for me who can get started on it possibly TODAY! I’m so anxious to get things done so I can start cleaning up all of the sawdust, etc. and make it feel more like a home instead of a construction site. ← Family troubles AND GREAT RAINBOWS! I like the way your kitchen is set up. Would love to be able to work in there and look out those windows. Wonderful view. ME TOO Nancy! This gives “open concept” a whole new meaning! Please feel free to come by any time to fix us dinner! 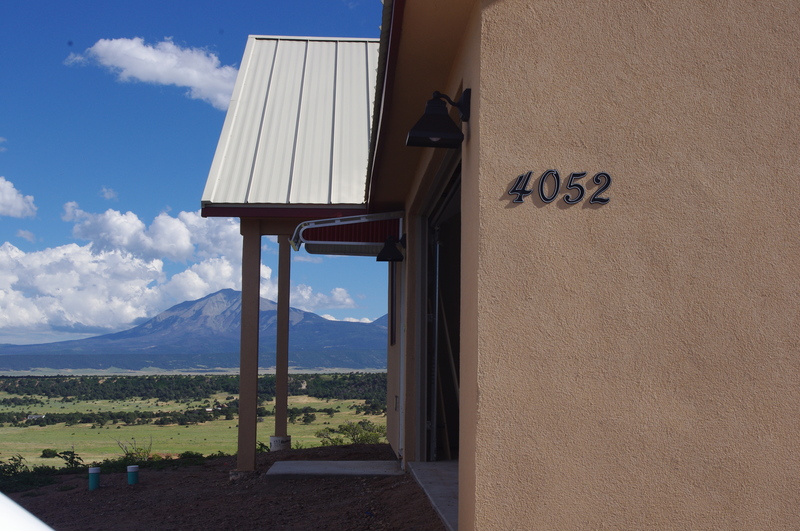 Watching the clouds go by the Spanish Peaks is my idea of a gentle retirement! YES Carol! When will that EVER BE?